Frank Caprio Archives - Joe.My.God. When I last reported on this race two weeks ago, Caprio had a slight lead, but that was before the president declined to endorse him. 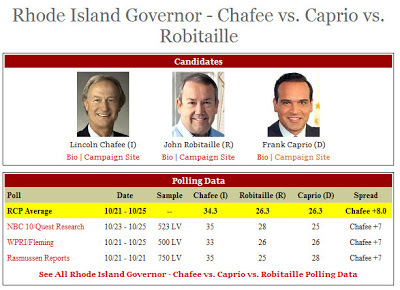 Chafee aligns himself with Obama in his new ad (below), something more than a few Democrats won’t do these days.